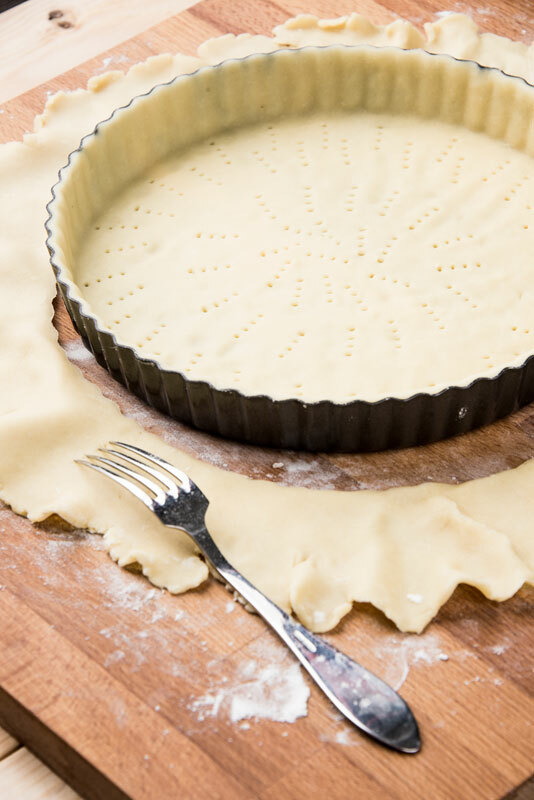 This is a basic recipe for for tart crust. Mix all ingredients with an electric mixer or bread machine. Take out the dough and make a ball. Cover it with plastic foil. Keep it in the fridge for 30 min to allow the butter to harden. You can keep it up to 10 days in the fridge and can even be frozen for 1-2 months. When kept in the fridge, it needs to be taken out at least 30 min before stretching it.